It has been a long while since I wrote a post, but times have been busy. 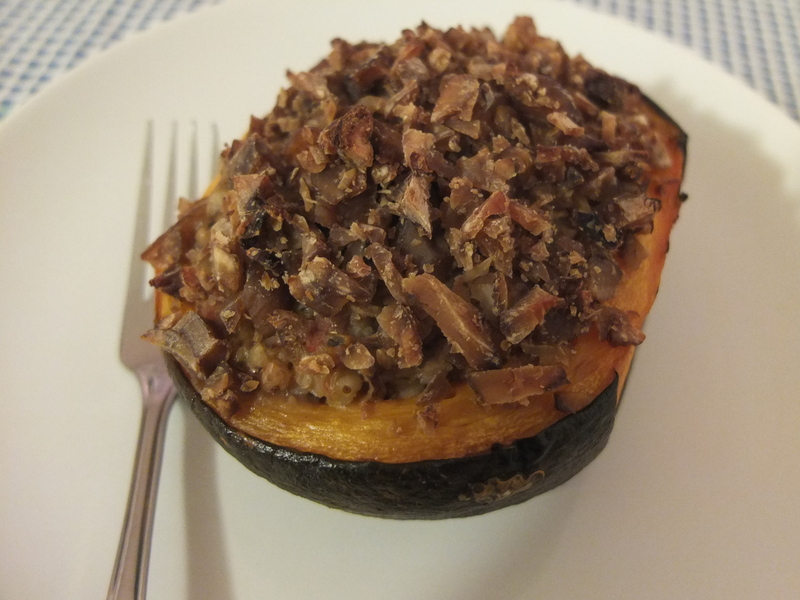 I hope you will forgive my absence one you try out this delicious veggie recipe. 1 round pumpkin. I got a green-skinned one. Cut the pumpkin in half and remove most of the flesh leaving about 1cm. Keep the flesh that you remove. In a pot put the buckwheat, onion, garlic, tomatoes and pumpkin flesh and add enough water to cover the buckwheat and top it about 2cm. Cook with the lid on for about 15 minutes. Check occasionally to make sure you don’t need to add a bit more water. Avoid stirring otherwise the buckwheat will become soggy and mashed. Add salt and pepper to taste. 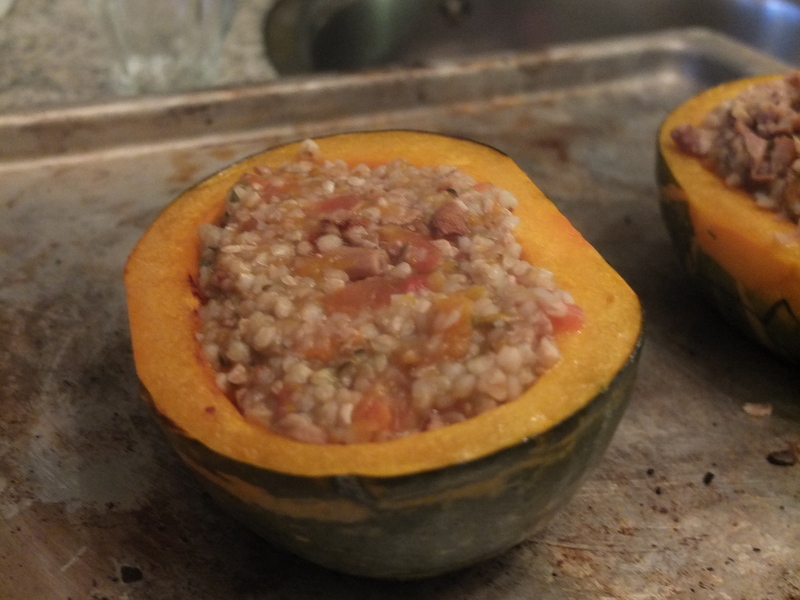 While the buckwheat cooks, brush the pumpkin with the olive oil and bake at 200 C in the oven for about 30 minutes. 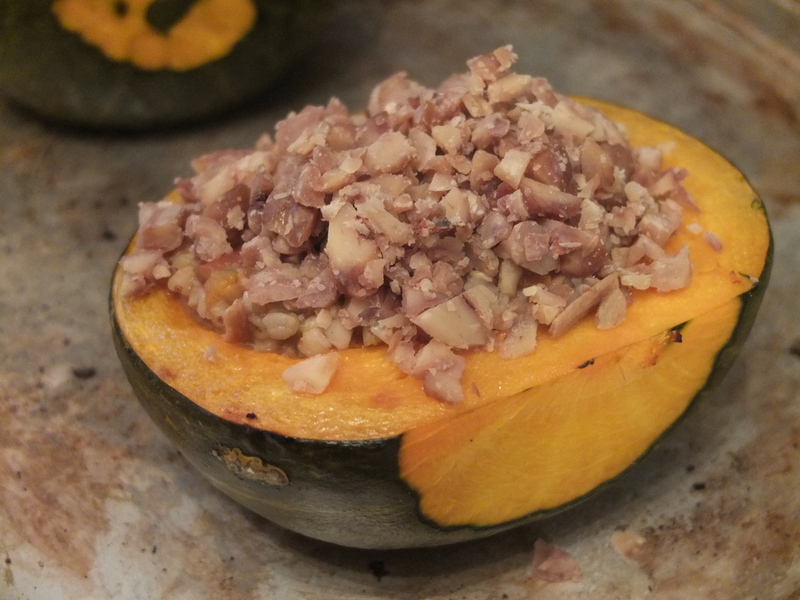 Fill the pumpkin with the buckwheat and top it off with the chopped-up chestnuts. Bake in the oven at 200C for another 10 minutes. tastes better than it looks too! 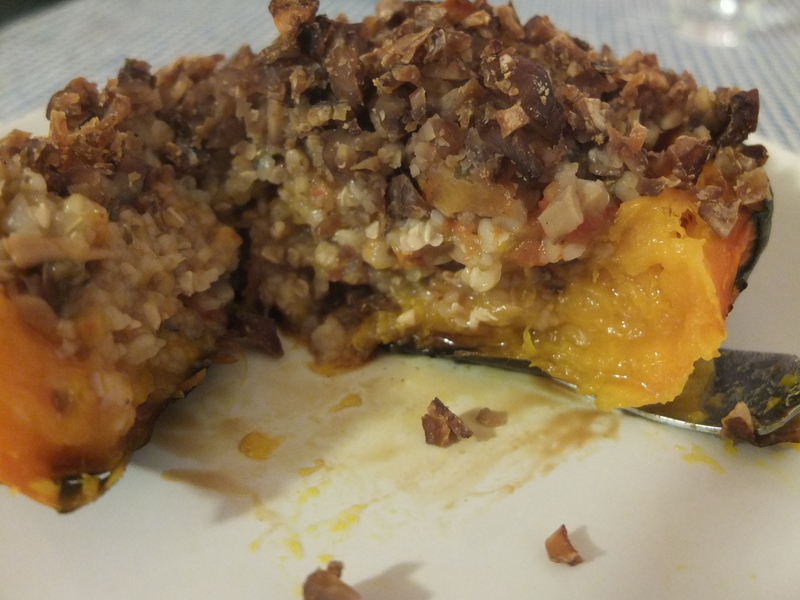 If you are a woman reading this, treat yourself with this deliciousness today by making someone prepare it for you. If you are all alone and that’s not an option, well, treat yourself by preparing it and enjoying it alone, without having to share. Isn’t that great too?